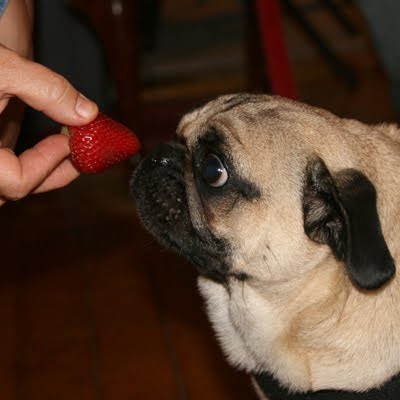 Today there is a Sundaes on Sunday for pugs in Canton, MA, but unfortunately we did not have time to make the hour long drive so we will have to make our own yummy treats at home! We've had a busy weekend, since it was my dad's 50th birthday party yesterday and his actual birthday today. At the same time my grandmother had to go to the hospital for dehydration, but she will be okay and back home with us in a few days! JD is a bit out of sorts because he isn't used to so much commotion. He had a lot of fun seeing all of our friends and neighbors yesterday, but he was sad when he had to stay in the kitchen so that he wouldn't attempt to steal food from everyone's plates. Don't feel too bad for him, though, because I stayed with him most of the time and snuck him plenty of the yummy things that we cooked up (strawberries were his treat of choice). As you can see in the photo above, he was pooped out after a long day of begging for snacks, impressing everyone with his charm, and helping his grandpa to enjoy the party. 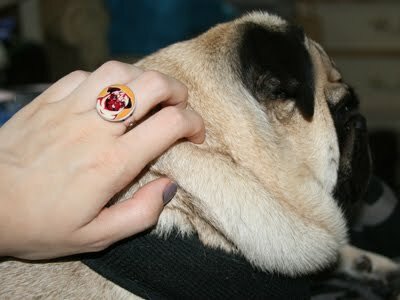 Yesterday my pug ring and necklace by Sofa City Sweethearts arrived. They are so cute! Thanks a bunch to Carrie for selling such cute items in her Etsy shop. 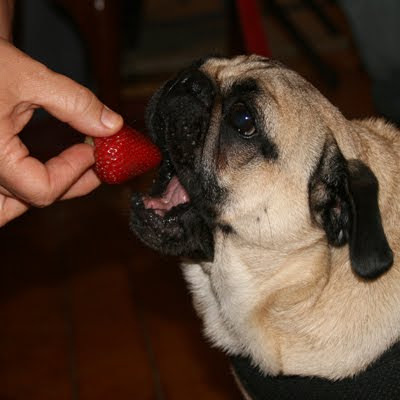 i LOVE your new pug jewelry and the pictures of jd eating his strawberries made my whole day! we are so glad your grandma is feeling better! Well, hey there, JL, honey an' JD, buddy! Nice blog ya got! I see yer a Beatles fan like my mom. Now I don't know whut a Beatle is, although I prolly ate er two in my day. Pee S: Goin' tuh the KPR website right now tuh check out yer pitcher in the calendar contest! 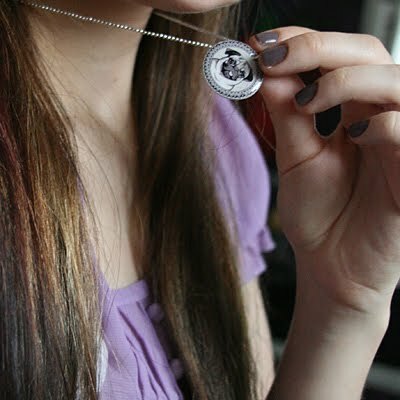 So glad you love the ring and necklace. Thanks for the shout out. P.S. JD is so freakin' cute! Thanks for stopping by our blog! We love your cool dog hats! It's STEAMY here, but in the winter we will make mooma buy us some! OMD! 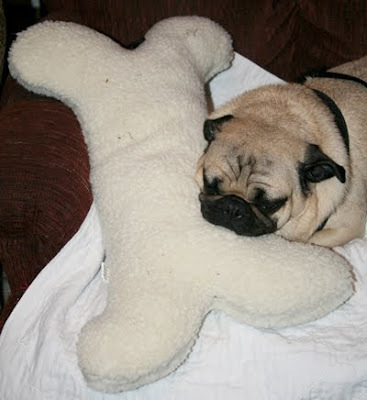 we gots your comment for the caption contest and stopped by to see your blog! As soon as we spied the hats we knews who yous was! Melissa did a post with your hats and we loved them!!!! Hmmmmm I wonder if Mum will allow me to gets one to go with my sweater vest? JD!! We's hopes your Grandpa hads a great birfdays and your Grams is feeling betters!! We just loves your alien hats and your jewelrys!! Super Pawsome! !